PICHU, PIKACHU, or RAICHU from Pokemon vinyl decal stickers. 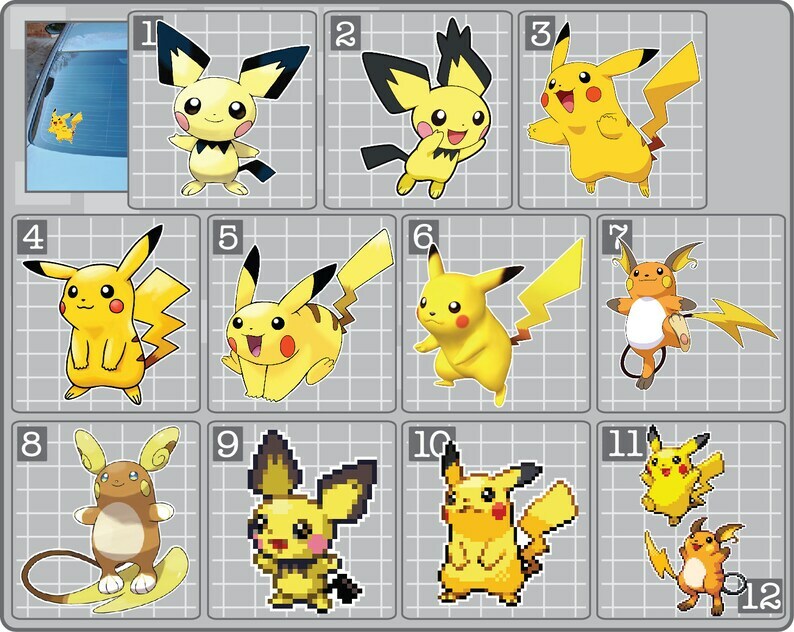 PICK A POKEMON then PICK A SIZE! It's all up to you!